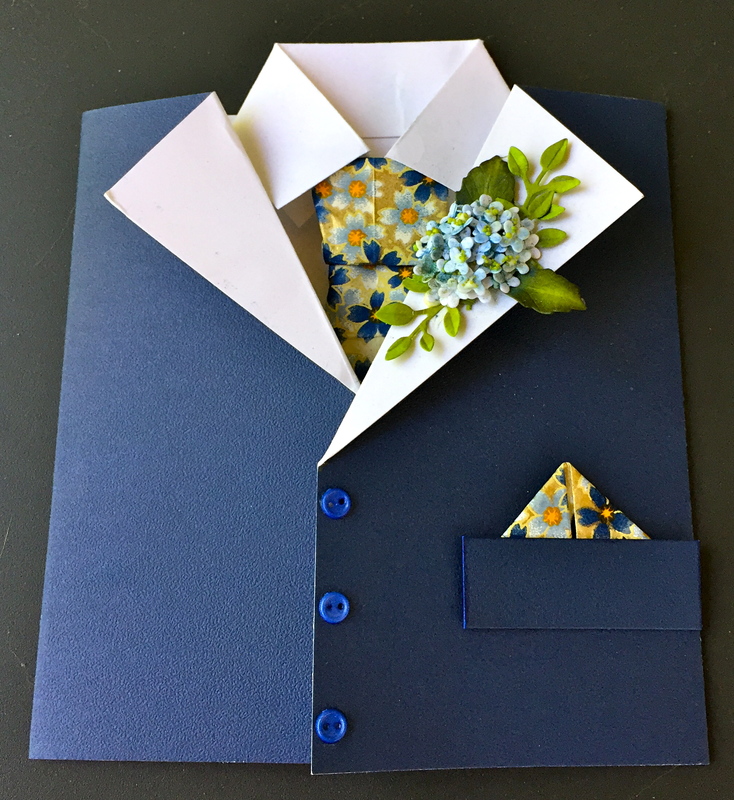 A few weeks ago, I posted a card on my FaceBook page (Susan’s Garden Club) that I created for my hubby. 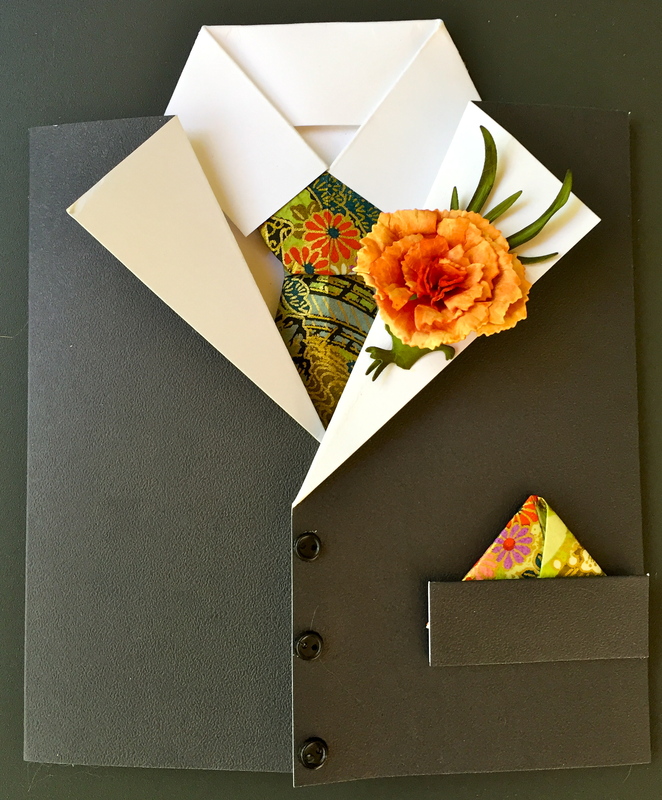 The idea was not mine, but a fellow crafter who had posted on Card Making Tips. 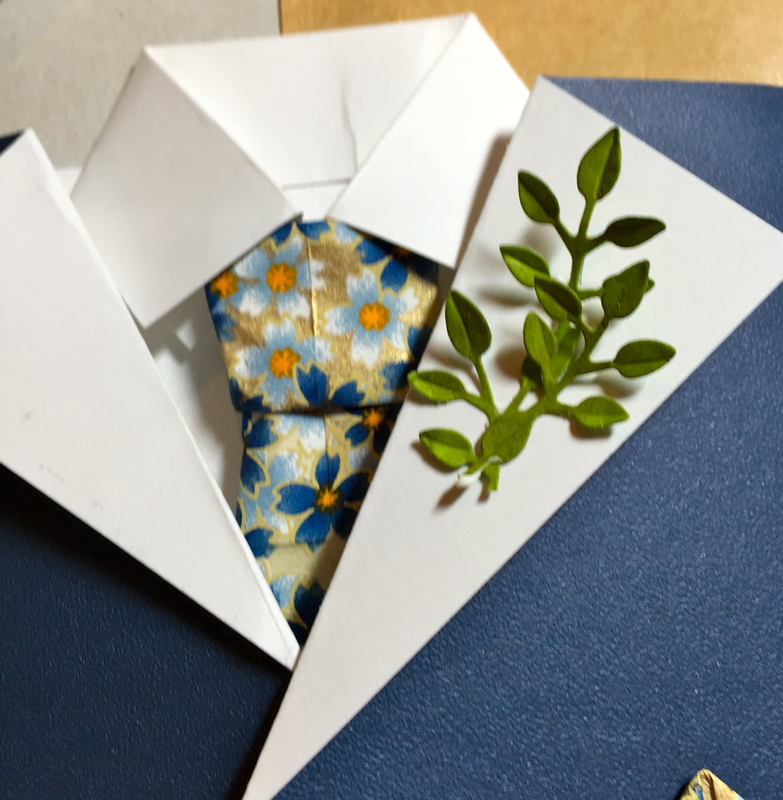 However, I did spruce it up a bit with a 3-D flower in the lapel proving that even guys can enjoy flowers! I received lots of comments, especially asking if this was hard to make. It is not. In fact, it took me less than an hour to put everything together, including hand coloring my Garden Notes Carnation with Chameleon Pens! 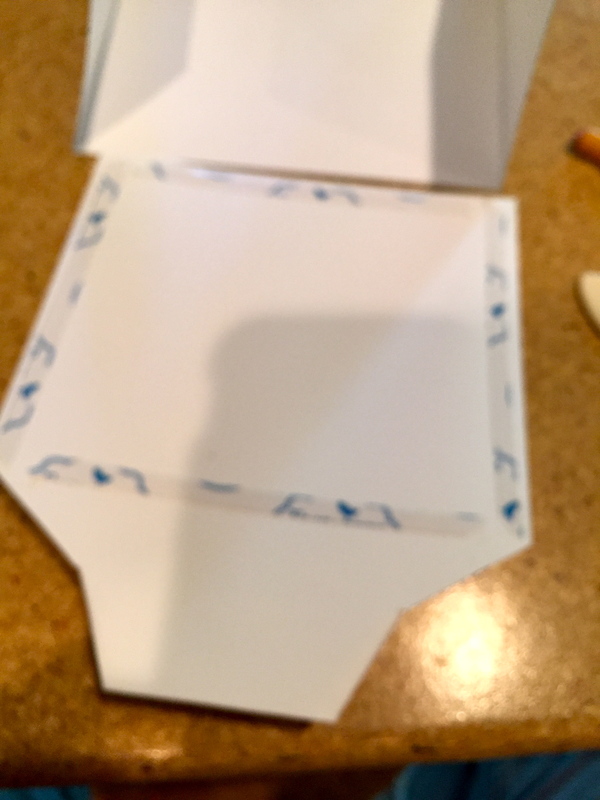 So, as requested…here is how I put this card together. 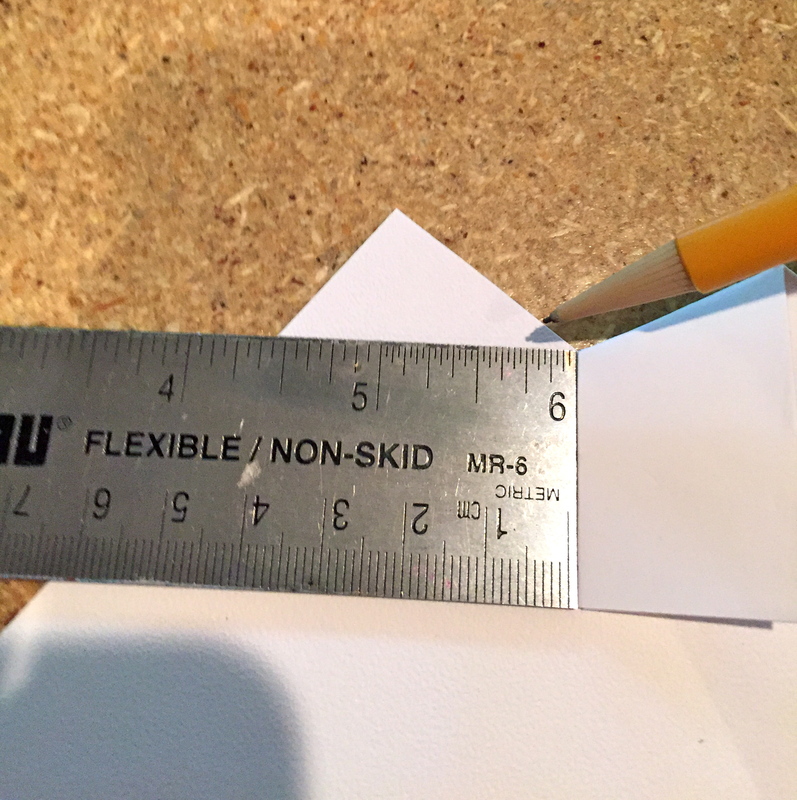 For the shirt, I trimmed an 8 1/2″ x 11″ piece of 85 lb. Soft Finish Cardstock/White to 5 1/2″ x 7 5/8″. 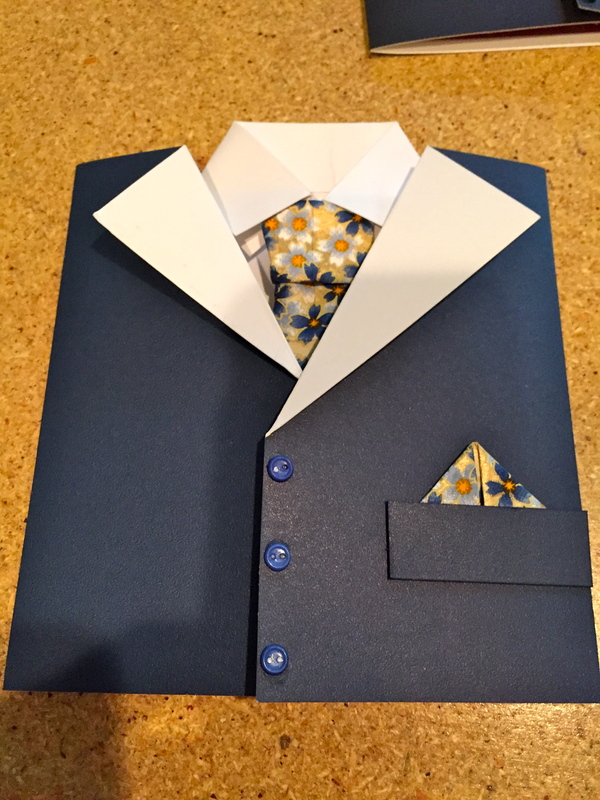 Score a 1-inch line across the top and fold down (for the collar). Press the score line again to make a smooth fold. 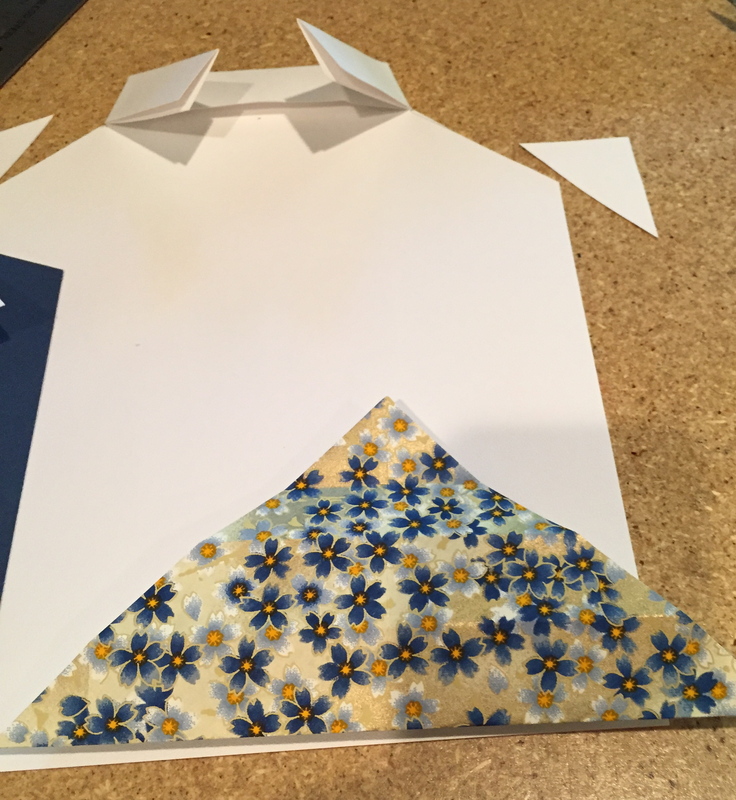 Cut 1 1/4″ from each side and fold the collar to the center. Trim the shirt shoulders as shown. Use ECD’s Clear Double-Sided Tape to adhere the shirt to the inside of the jacket. 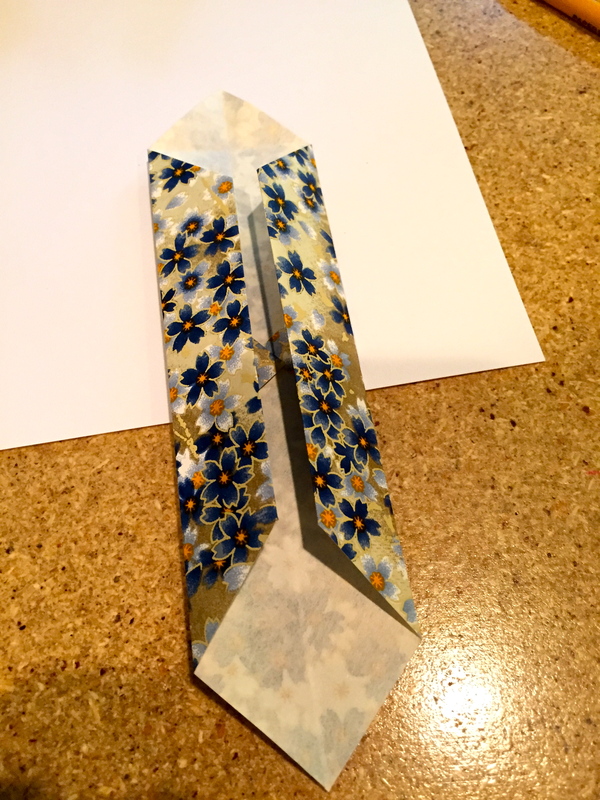 The tie is created using Washi paper. 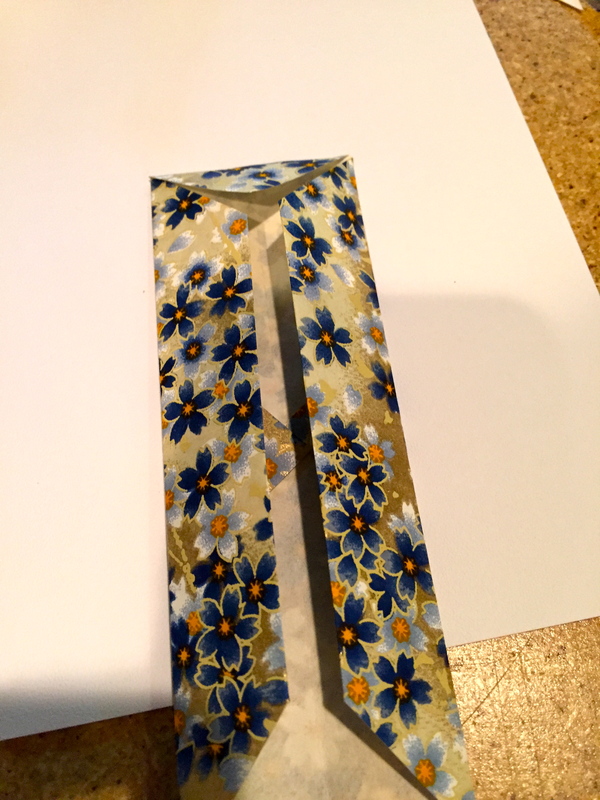 I like using it for two reasons–it folds easily and it looks like a silk tie when finished. 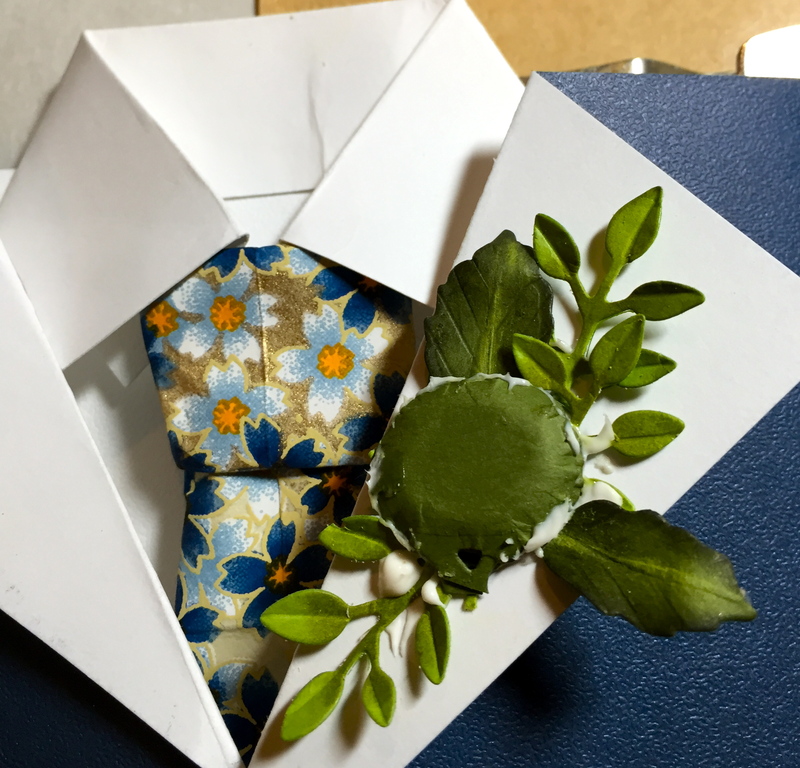 First, the Washi paper is trimmed to a 5″ square. Fold the square on the diagonal, open up and turn. Fold again on the opposite diagonal. Now, bring the sides together to meet in the middle. Repeat this step once more. Next, fold down the top to meet the folds. Flip the tie back to the wrong side up and fold in the sides once more, angling the fold slightly as shown. While holding the knot side, push in the bottom corner to give you the correct angle. 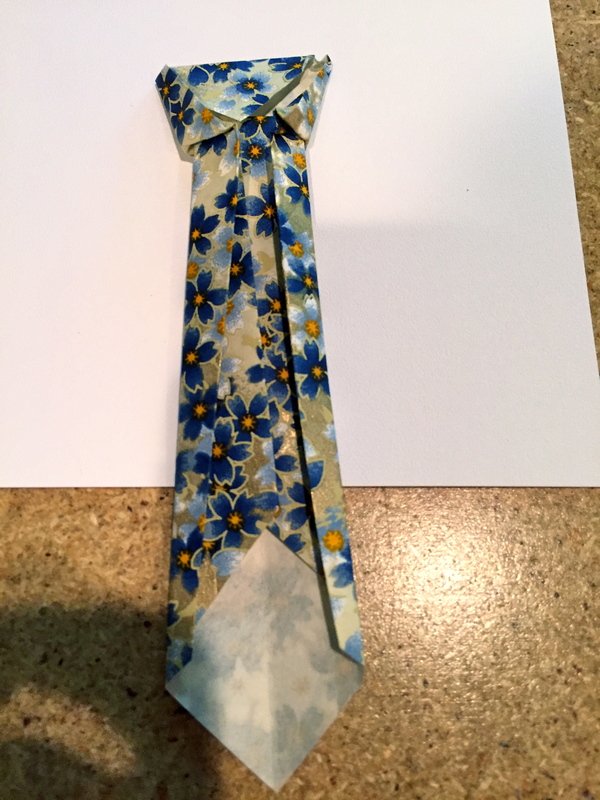 Apply Double Sided Tape to the tie and adhere it between the folds of the collar. Just in case this doesn’t make sense, you can go to YouTube under Origami Ties and watch a video…that’s what I did the first time! I folded the lapels on the coat, marking with a pencil, 1 1/4″ in from each side, the right side, 2 1/4″ down and the left side, 3″ down. I used a straight edge aligned on these points for each side and creased the lapel. Finally, I used my bone folder to press the folder flatter. If you like, you can add a top pocket flap. 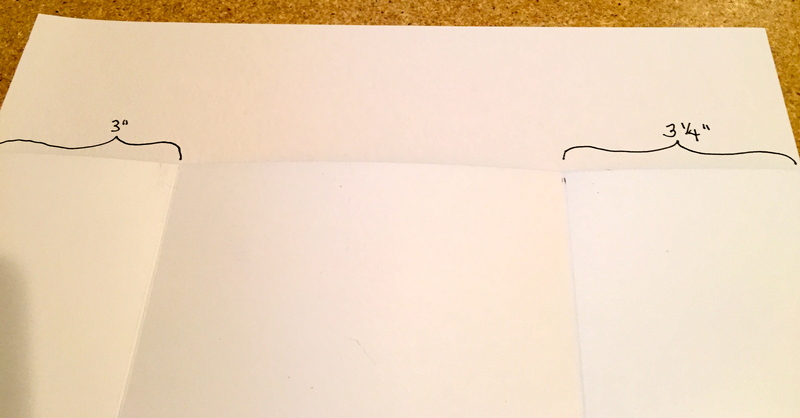 Trimmed same paper you used for the jacket to 1 1/2″ x 2″. 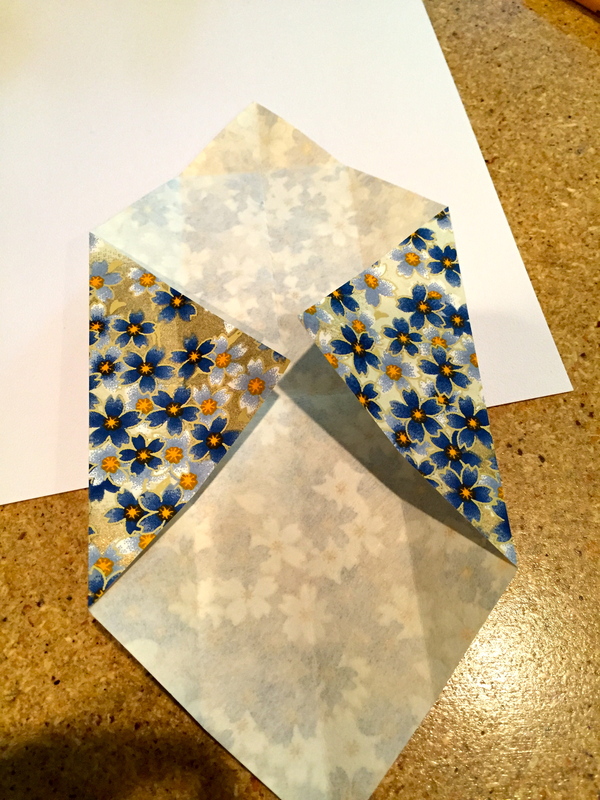 Fold over to create a pocket that is 3/4″ x 2″. 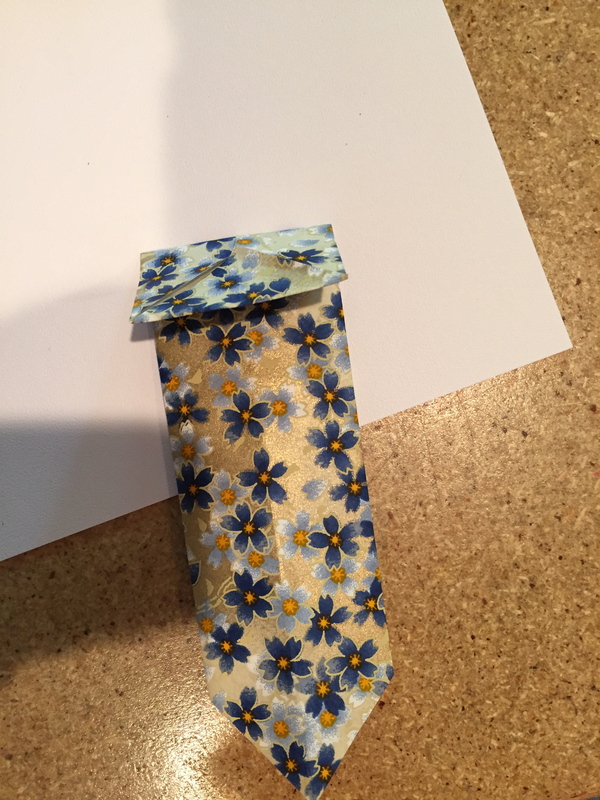 Fold a 2″ square of the same Washi paper on the diagonal, then bring the two sides together to form the “hankie,” trimming the bottom to fit the pocket. A couple of strips of Double Sided Tape holds it in place. I also added buttons to my jacket and to help close it, a small piece of Hoop & Loop Tape by Velcro. 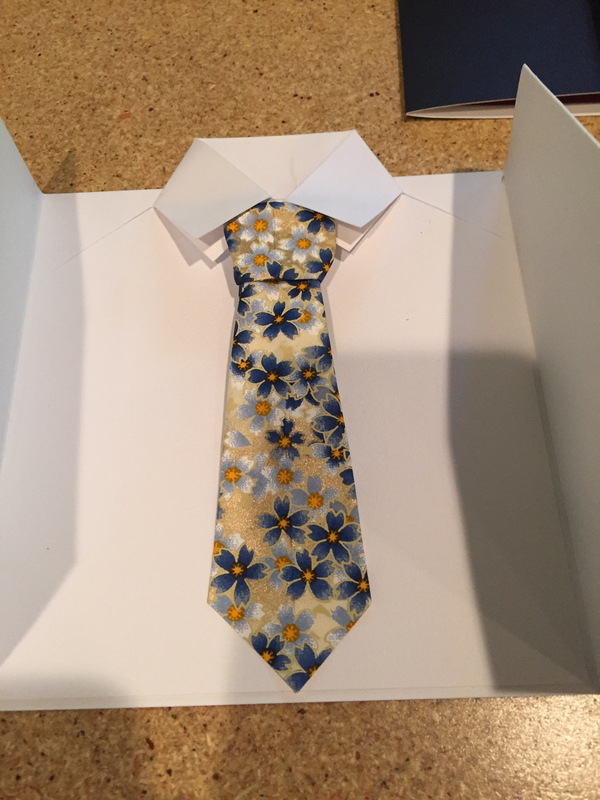 Now all you have to do is choose what flower you want in the lapel. For this jacket, I chose my Garden Notes Hydrangea, but the first one was my new Carnation; so many choices! Beautiful Job…..Your flowers make it stand out even more…..